If you look beyond the gourmet chocolates, and cuckoo clocks – modern Switzerland, is all about once-in-a-lifetime voyages, heart-thumping Alpine quests and chic culture. Of course, you can still have your fairy tale when it comes to spectacular mountain panoramas, quaint hamlets that will fit your storybook and the perfect powder if you fancy a skiing when you are on your Switzerland trip. The lofty Alpine peaks, sparkling azure lakes, bright green vales, glaciers, and chocolate-box waterside villages permeate this non-coastal country with an enchanted prettiness. Nestled among the highland gorges and lagoons lie world-renowned international hotels and resorts that offer paragliding, mountaineering, biking, skiing, climbing, and tobogganing are top things to do in Switzerland; other than basking in the bright sunlight, exploring museums and castles and falling in love with the gorgeous country. 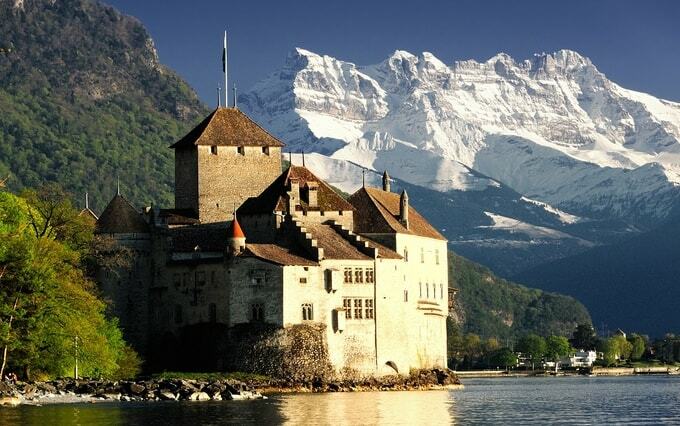 Kesari Tours curated a list of places to visit in Switzerland for you. Jungfraujoch: The Tip of Europe – The train journey to Jungfraujoch is one of the most scenic and top attractions in Switzerland. The tip of Europe has an observation terrace and an observatory at a height of 3454 m that lets you get a birds’ eye view of the place. Home to the UNESCO World Heritage Site Great Aletsch Glacier, which is the longest glacier in Europe, Jungfraujoch is known for the Eiger Trail that hangs from the rocks at the foot of the north face. Don’t miss out on the Öpfelchüechliwäg, the high elevation hiking trail from Holenstein to Brandegg that passes through flower fields, mountain meadows, and forests. You can also enjoy gondolas and cable car rides to popular viewpoints in the Lauterbrunnen Valley. The Matterhorn: The pointed peak – One of Switzerland’s attractions that lures thousands each year is the Matterhorn. One of the tallest peaks in the Alps, this mountain lies 4,478 m high with its four directions mimicking the compass points. 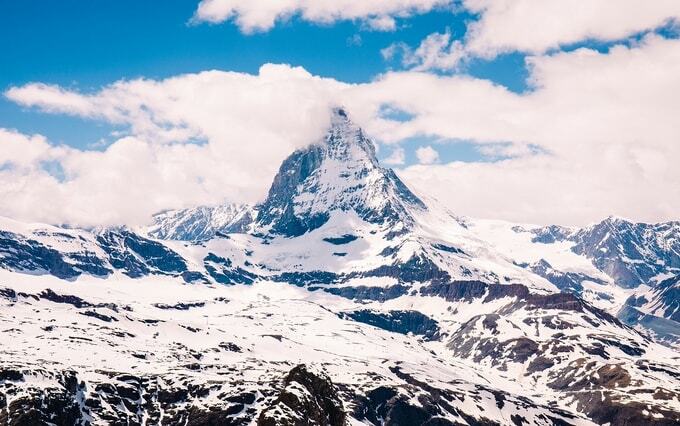 The Matterhorn is on the Italian border and is home to the delightful Zermatt village, a world-renowned resort that offers carriage rides, picturesque chalets, and topnotch bistros and hotels. Vehicles are banned in this village to maintain the quality of air and tranquil atmosphere. Skiing, swimming, tennis, hiking, biking and mountaineering are somethings you can try when you visit. Lucerne: The charming town –A glittering azure lake edged by mountains, a car-free feudal town, waterfront promenades, covered bridges, notable structures, and sun-soaked squares with sparkling cascades, make Lucerne one of the most visited top attraction in Switzerland. Known for its music concerts, solo performances, orchestras and the annual International Music Festival, Lucerne is the place to be for all things music. Don’t forget to see the 14th century Chapel Bridge, the Swiss Transport Museum and the Lion Monument. 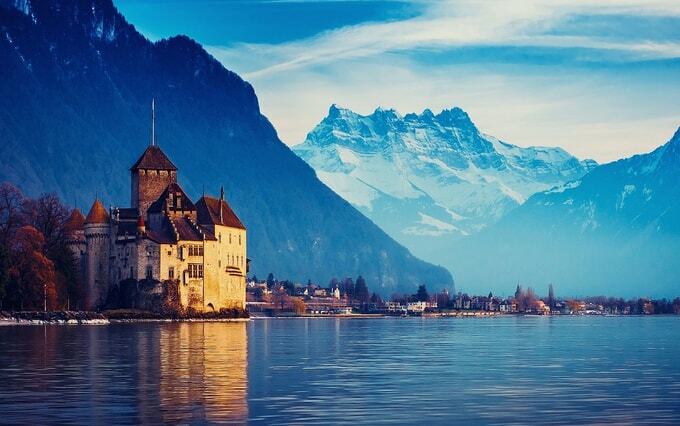 Lake Geneva: The largest Alpine lake in Europe – Located on the Swiss and French border, this cerulean lake edges some of the most popular cities in the country. The lake is bordered by boulevards, gardens, while the old town is a fabulous place to walk and explore the historic buildings. The Jet d’Eau, a fountain in Lake Geneva, is another must-visit. It shoots water nearly 150 m into the air. If you like opera or theatre then the Opera House and the Grand Théâtre, are the places to visit. Chateau de Chillon, Montreux – The artist and writer muse –The Chateau de Chillon is situated on the Lake Geneva near Montreux. It has been inspiring writers, artists, and poets for centuries from Jean Jacques Rousseau, Lord Byron to Victor Hugo, who have mentioned this architectural marvel in their works. The bastion of the Dukes of Savoy in the 12th-century, this fortress has 25 buildings built around 3 large courtyards. Do check out the Great Halls, the gothic-inspired underground rooms, the Chapel that houses 14th-century paintings and the Duke of Savoy’s bedroom the Camera Domini decorated with old-fashioned murals. There is so much you can explore on a Places to visit in Switzerland, that you may fall short of time. However, a visit to the country is a must once in your lifetime. To get onboard, check with Kesari Tours for a great deal. 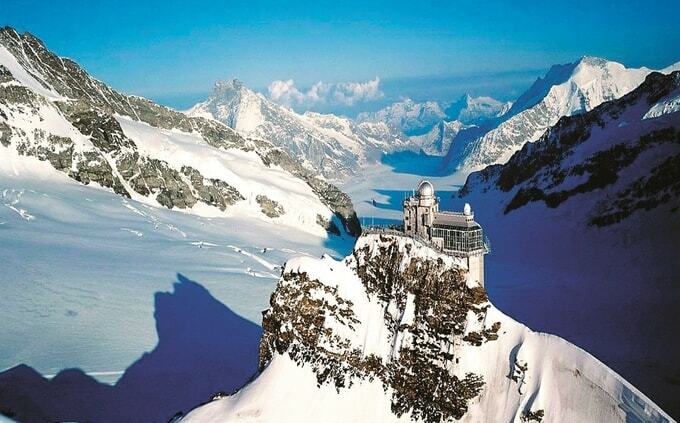 Check out our more blogs on Switzerland tourism! !